Larry Sinclair also serves homebuyers in Middleboro, Halifax, Hanson and Raynham. 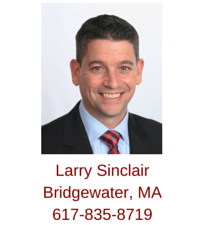 Attorney Larry Sinclair is an exclusive buyer agent who works from Bridgewater, Massachusetts. Larry provides homebuyer representation services to first-time home buyers and those experienced in purchasing real estate in Bridgewater, as well as Middleboro, Halifax, Hanson, Raynham and surrounding cities and towns on Boston's South Shore and in Plymouth and Bristol counties. 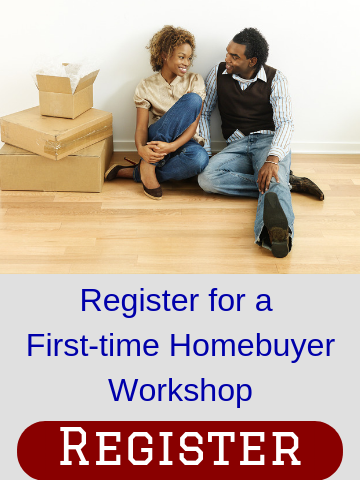 You can reach Larry by email, or by calling his mobile phone (617-835-8719) in order to schedule a personal homebuyer consultation. Larry will discuss your home search, explain the Massachusetts home-buying process in detail from mortgage programs through closing and answer all your real estate questions. He will meet you at a location that is convenient for you. Larry, a licensed real estate broker in Massachusetts, is a member of the National Association of Exclusive Buyer Agents. He also is a member of the Massachusetts Association of REALTORS, Greater Boston Association of REALTORS and the National Association of REALTORS. Larry obtained his Bachelor's of Science degree in Business Administration from the University of New Hampshire in 1995 and obtained his Juris Doctor degree in 2003 from Suffolk University Law School. Larry has been licensed to practice law in Massachusetts since December of 2003. A Massachusetts native, Larry grew up in Stoughton and attended Xaverian Brothers High School in Westwood. He presently has a home in Bridgewater, Massachusetts where he lives with his wife and three children. Larry volunteers as a coach for the Bridgewater Youth Lacrosse program and plays in the Old New England Lacrosse League for Westwood's AW Lacrosse Club. In the winter, he can be found in various skating rinks all over New England watching his kids play hockey. Larry has vacationed in Chatham, MA on Cape Cod in the summer since his childhood, and he is familiar with the Chatham real estate market. Larry can be reached by email, or by calling his mobile (617-835-8719. 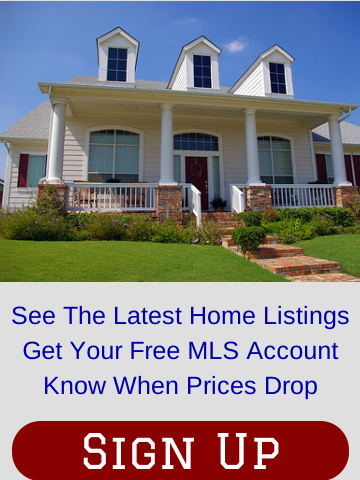 Fill out the form below to see up-to-date and accurate real estate listings in Bridgewater, MA; Middleboro, MA; Raynham, MA; Hanson, MA; Halifax, MA; and surrounding communities.